We came here on a Saturday morning for brunch and Vue was packed with people. 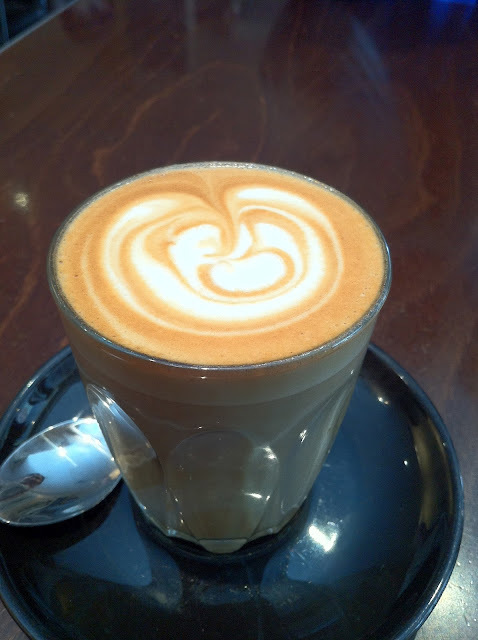 Vue is situated in the “café zone” of New Farm, just outside of Merthyr Central shopping complex. The café looks small from the outside until you realized that there are actually two adjoining rooms with the kitchen area in the middle. We waited approximately 10 minutes for a table. As we were starving by then, we couldn’t help but drool at each dish that came out of the kitchen. This didn’t help us to order at all. The dishes on the menu all seemed to have a special twist to the normal generic breakfast dishes. Drinks wise, latte hands down for me! The texture was very creamy and smooth. 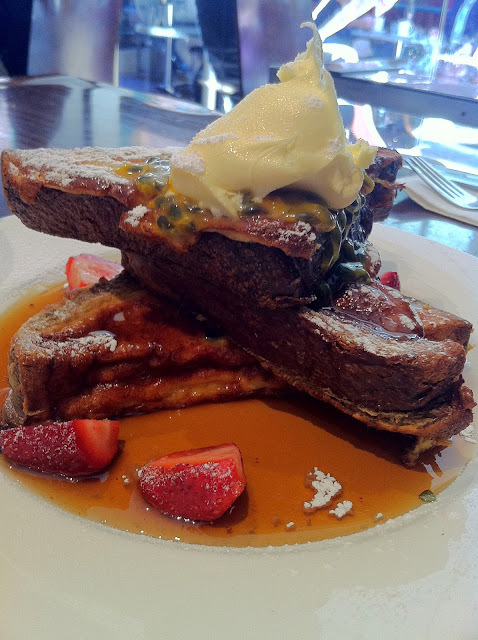 We ended up ordering the brioche French toast with maple syrup, strawberries, passionfruit and mascarpone. After giving French toast so many chances, I have come to the conclusion that French toast is just not my thing. However, to a French toast lover, I think they would’ve been pretty impressed by it! 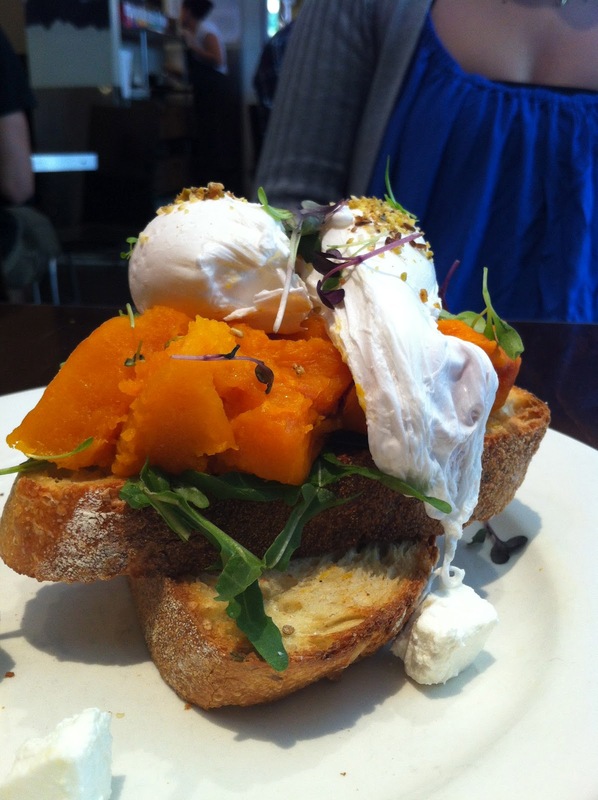 The roasted pumpkin and poached eggs pistachio dukkah and pumpkin sourdough seemed light and refreshing to eat. 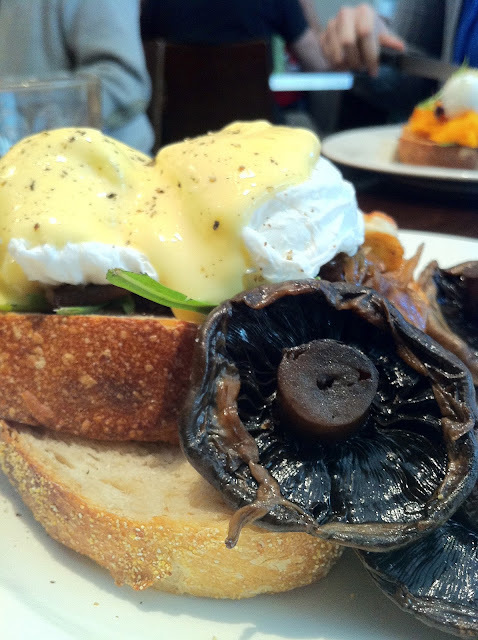 I got one of their daily specials which had grilled mushrooms, haloumi, caramelised onions, poached eggs drizzled with Hollandaise sauce on sourdough. The serving size was huge! I was very content after my brunch! The amout Hollandaise sauce was just right for me, as it didn’t overpower the whole dish and it blended well with the mushrooms, haloumi and onions. Surprinsingly it wasn’t the mushrooms that stood out for me, it was actually the caramelised onions! It complemented the mushrooms and the eggs really nicely! 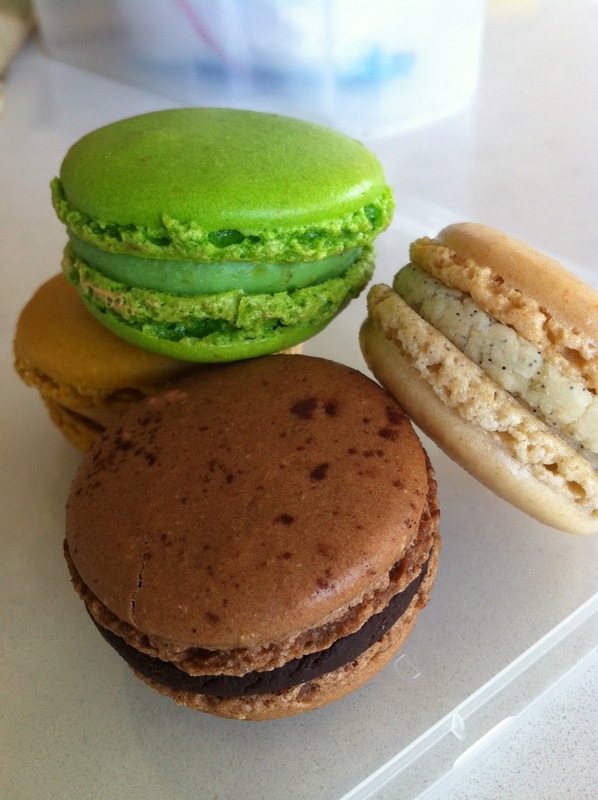 I also brought some macarons home - chocolate, vanilla, pistachio and caramel ones! They were pretty good, but if anything, maybe just a taddddd too much ganache? 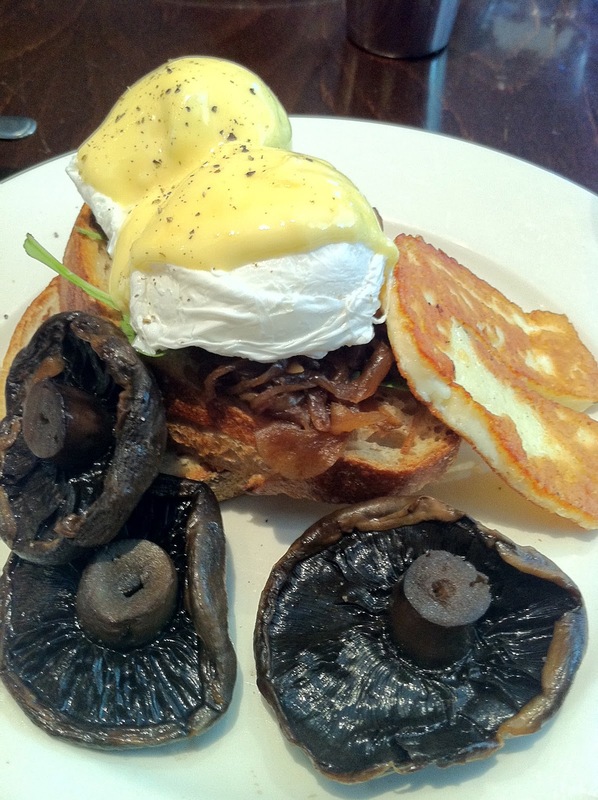 Overall, brunch at Vue was a good experience – good food and bustling atmosphere! Will be back to try other things, but hope that their service will improve as well.